Nikko is one of Tochigi Prefectures most famous locations for good reason… the splendid shrines and temples, the cooler temperatures even in summer, and gorgeous fall colors make it a popular place for both Japanese and foreign tourists to visit. I’ve already done a post on the Irohazaka, or the colorful winding road that leads from the shrines and temples of Nikko up to Oku-Nikko, home of nature and Kegon no Taki, the Kegon Waterfall. Along with Fukuroda Waterfall in Ibaraki Prefecture (also a postcard), and Nachi Falls in Wakayama Prefecture, Kegon Waterfall is considered one of the three most beautiful waterfalls of Japan. 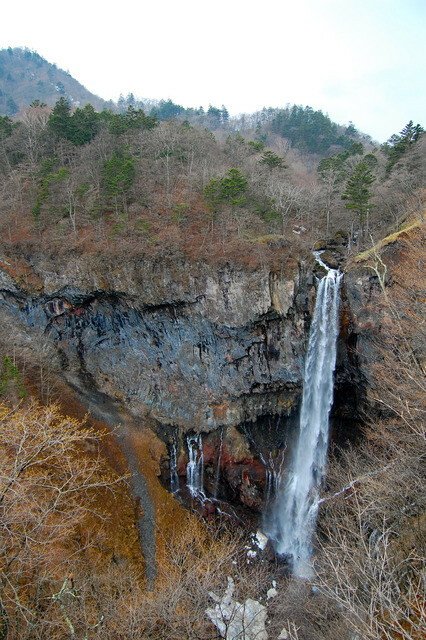 Its almost 100 meter falls can be seen from a free viewing platform or a paid viewing platform, and in all seasons. In winter, the waterfall often freezes solid! I visited Kegon no Taki many years ago during the cherry blossom season. Unfortunately, spring is actually probably the most unattractive season in the area, as the snow has already melted, but the trees haven’t turned green yet. At that elevation, there weren’t any cherry trees, so everything just looked bare and brown. But you could see the waterfall really clearly! I’d love to go back one year for fall colors, but since everyone else in Japan tends to have that same plan, it can be the most crowded season then as well. Maybe summer, like it is pictured in the postcard, is best! 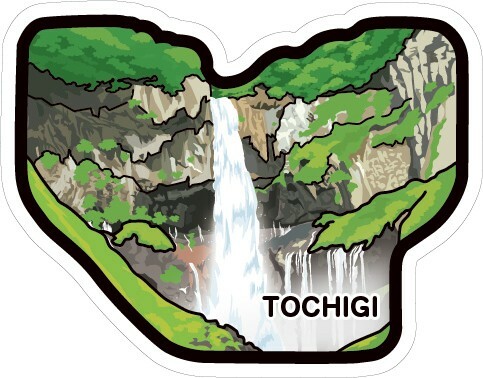 This entry was posted in Date: 2016 - Set 8, Prefecture: Tochigi, Type: Place and tagged kegon no taki, kegon waterfall, nikko, oku-nikko, summer, waterfall by Jess. Bookmark the permalink.